Helen Bones examines the transnational life and literary legacy of little-known New Zealand writer and poet, Dora Wilcox. Portrait of Dora Wilcox (1926). Photograph by May Moore. Image via the National Library of Australia. Today, few people have heard of the writer Dora Wilcox. Yet in 1923, Australian and New Zealand papers clamoured to report on her return from Europe. Wilcox was described as a ‘well-known writer’ and ‘noted poetess’, and numerous other articles suggested she was a popular literary figure in Australasia and further afield. I came across her during my doctoral research into early-twentieth-century New Zealand writers. I was struck by the size of her literary footprint, given her very minor place in subsequent literary historiography. Born in 1873, Dora Wilcox grew up and was educated in Christchurch, New Zealand. At the age of 18, she went to Armidale, New South Wales to work as a teacher for three years before continuing on to Europe. 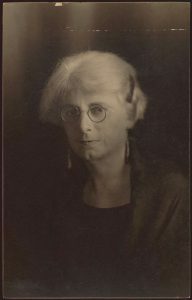 During her time in Europe, Wilcox published several books of verse, served with the Voluntary Aid Detachment in London during World War I, and married a Belgian professor named Jean Paul Hamelius. She was in the process of trying to extricate herself from this unhappy marriage when he conveniently died, leaving her free to move to Sydney in 1923 and marry William Moore, the well-known art critic. Wilcox spent the rest of her life in Sydney, becoming prominent in literary circles in both Australia and New Zealand. She published many articles of historical and literary interest in New Zealand, Australian and British periodicals, many poems and wrote several well-received plays. By the 1930s, she was one of only 50 Australian women (as compared to 1,500 men) to appear in Who’s Who in Australia. Her poem ‘Australia in Luce’ was the one chosen to be read out at the opening of the first parliament in Canberra in 1927. Despite all these accolades, Dora Wilcox appears in the Australian Dictionary of Biography only in a sub-section of the entry relating to her husband, William Moore. Even more surprisingly, she does not feature in the Dictionary of New Zealand Biography at all. Her popularity in the early twentieth century has not carried forward to later times, as she appears only very briefly in most of the literary histories and compendia of Australian and New Zealand writing – and in a few, not at all. Wilcox wrote a kind of poetry that had fallen out of favour in Australia and New Zealand by the middle of the twentieth century. Described as ‘graceful’, ‘Tennysonian’, and, repeatedly, ‘dainty’, her verse fitted the styles of her era. 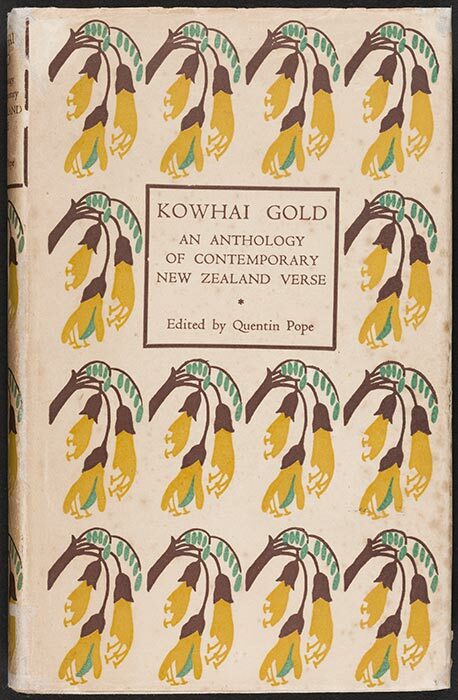 The title page of the 1930 anthology of New Zealand poetry Kowhai Gold contains an extract from one of Wilcox’s poems – including a line about the yellow-flowered kōwhai tree who ‘hastes to wrap herself / All in a mantle wrought of living gold’. 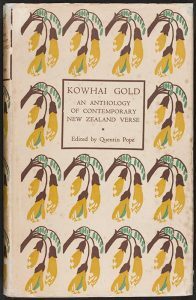 For later New Zealand writers who were preoccupied with the idea of finding a true local ‘voice’, this anthology, with its celebration of gentle Georgian explorations of ‘local colour’, came to symbolise everything wrong with this older generation of poetry. Imported British styles with the insertion of a kōwhai or rata blossom did not fit the bill at all. On both sides of the Tasman, those at the forefront of the literary establishment sought ‘authenticity’ – for them, this meant the pioneering, rural, masculine essence of their respective countries. Australian proponents looked back to the bush-balladists of the 1890s as their literary precursors. This narrow conception of ‘what it meant’ to be an Australian or a New Zealander sidelined women writers, often regardless of what they actually wrote. Joanna Russ’s How to Suppress Women’s Writing (1983) and Julieanne Lamond’s ‘Stella vs Miles: Women Writers and Literary Value in Australia‘ (2011) note that women’s writing is often pre-judged; responses are influenced by gendered assumptions about the intellectual weight of women’s writing and their suitability to write about different topics. My recent article in the Journal of the Association for the Study of Australian Literature compares responses to Wilcox’s poetry with that of fellow trans-Tasman writer Arthur H. Adams. Both writers’ work was often described as ‘dainty’, but in Wilcox’s case this indicated the slight, lightweight nature of her work. Adams’ ‘daintiness’, however, was received as evidence of the sensitive soul of a true poet. But Wilcox’s poems are not especially ‘dainty’, anyway: ‘Onawe’ (1905), for example, describes the aftermath of a murderous attack by Te Rauparaha on Onawe Peninsula in Akaroa Harbour. Women writers had to do extra work to be taken seriously, as well as to convince critics of the authenticity of their work. Novelist Edith Lyttleton wrote colonial stories full of everyday rough and rural scenes under the gender-ambiguous name ‘G. B. Lancaster’. Significantly, responses to her work differ depending on whether or not the reviewer was aware of her identity. While her work was often described as ‘virile’ and ‘forcible’, reviewers who knew she was a woman were more incredulous or unconvinced of the authenticity of her portrayal. Early-twentieth-century women writers had to deal with judgements attached to their work if they stepped out of the acceptable ‘female’ genres of romance or light verse. Overseas ties also became more problematic when authenticity became more of an issue, as ideas about identity narrowed towards the middle of the century. It was very common to have multiple ties to different countries, to live somewhere else for a time and to publish work overseas. Even so, all of these things became unacceptable in the eyes of literary arbiters focused on creating a local literary voice beholden to nowhere else. As a result, the pictures of the contribution of writers like Wilcox and Lyttleton are framed by their contributions to these national canons. Being situated ‘in-between’ canons meant writers were not fully appreciated. Ideas about the negative effects of overseas influences thus became something of a self-fulfilling prophecy. Other women poets of this era, such as Eileen Duggan, Jessie Mackay and Dorothea Mackellar, have been resurrected in recent times and written about on their own terms. This same treatment hasn’t been given to Wilcox – perhaps because expatriate women writers faced a double hurdle. Similarly, women novelists like Nelle Scanlan, Christina Stead and Edith Lyttleton faced difficulties with recognition in their own countries because of their lives overseas. Dora Wilcox was not an anomaly in literary history. My current research focuses on the writers who fell ‘in-between’ national canons, in particular those with trans-Tasman identities. Colonial mobility and connectedness means that multiple ties were common, and yet it is still the static representation of place that is most prized. Writers like Wilcox represented for critics ‘a problem in literary international law’ and a host of other writers, including Wilcox, have been under appreciated or ignored entirely because of their multiple affiliations. Wilcox was the victim of a perfect storm of in-betweenness – by virtue of being a woman with dual affiliations, she possessed the key attributes to be written out of Australasian literary history. 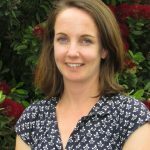 See full article: Helen Bones, ‘Falling between the cracks: Dora Wilcox and the neglected Tasman literary world,’ Journal of the Association for the Study of Australian Literature 17, no. 2 (2017): 1-12. 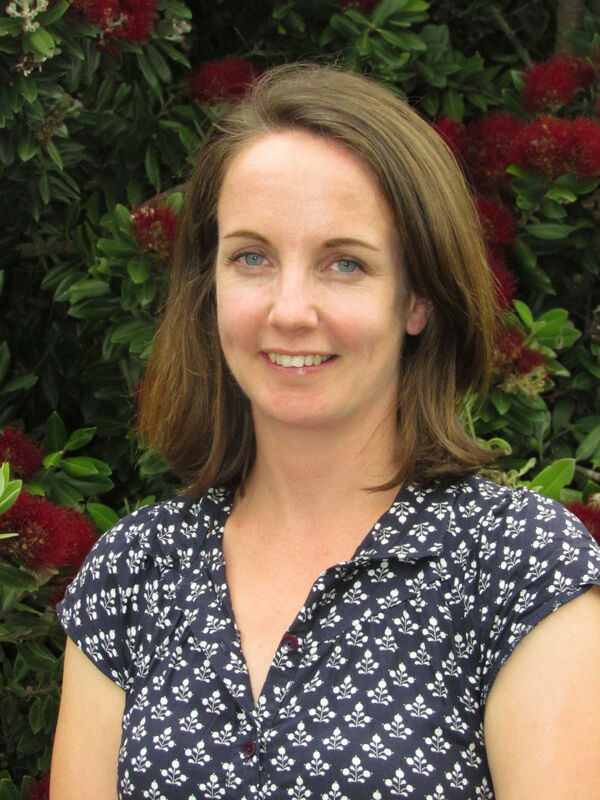 Helen Bones is a graduate of the University of Canterbury, and a writer and historian specialising in empirical literary and publishing histories of New Zealand and Australia. Her book, The Expatriate Myth: New Zealand writers and the colonial world (Otago University Press, 2018), critically examines the roles of expatriatism and exile in New Zealand writing. Helen is a Research Associate in Digital Humanities at Western Sydney University, working with Dr Jason Ensor on the ARCHivER project (Angus & Robertson Collection for Humanities and Education Research), which is funded by the Australian National Data Service in association with the State Library of New South Wales. She is currently researching trans-Tasman literary connections and writers who fall in-between national categorisations. Follow Helen on Twitter @helenkbones.